Sometimes we can get so caught up with how the interior of our house needs to look like, that we forget that the exterior matters as well. Along with the Best Home Gear and a bit of creativity you can transform bland exteriors and make it just as attractive as the interior of your home. You can create spaces like an outdoor dining area or a deck that is inclusive of comfortable lounge chairs; these little pieces will make your porch look beautiful and inviting. In this article, we have listed out a few ways how your wall décor can beautify your home’s exterior. This is a very versatile component that can include various stuff like a painting of a vertical garden and many other pieces. These pieces are unique and can hold special meaning to owners. You can find artwork that is salvaged wood from previous interior renovations. It will comfortably complement outdoor dining space. This is another type of wall art that will involve spraying paint. It’s quite simple and looks great as well. Recycling can be fun and inspirational when you get creative and come up with great ideas. You can turn old windows and planters into decorations for the exterior house walls; it can be a fun project that will leave you feeling creatively fulfilled with the result. From a distance, the house will look like it has functional windows on the side of the wall. You can also try a similar approach that is a charming and rustic look. Instead of box planters, you can use a vase that is filled with fresh and colorful flowers, then squeeze them between the metal bars and look exquisite on the exposed brick wall. You can use some of the Best Home Gear and decorate the outdoor walls of your house with vertical succulent gardens. They are easy to maintain, and all you have to do is water them and take them down when it starts to get too cold outside. Simple frames have a way of taking a bland wall and transforming it into a visual treat. You can use empty frames as wall décor and apply them to fences or any other exterior surface that you find boring. It can be practical and straightforward, and it is also a way of beautifying the outdoors without putting in much effort, time and money. This is another exciting and great choice to use when you are decorating your exterior walls. You can include water features, accent lighting, and organic wall art display. All these components work well together and create a relaxing ambiance. 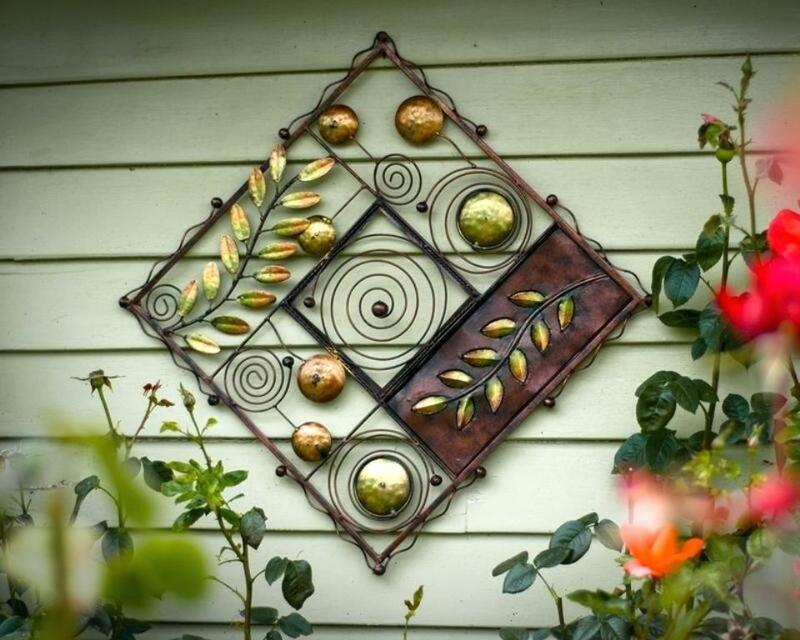 You can even display a three-piece wall decoration on the exterior walls of your house or even on the garden fence. This allows a sense of comfort and an inviting aura; this concept is excellent as a seating or dining area. To bring these ideas to life, you will have to invest in the Best Home Gear; the results will be amazing, for sure.